Food trucks are quite the rage these days. There are food truck lots all over the place. 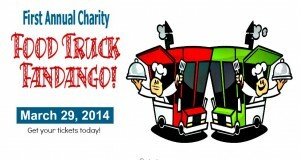 Every outdoor event features them, and the big question is which truck will be there. There is even a book on 100 Best Food Trucks of Houston. Roach coaches was the name for them long ago when they pulled up to the chemical plant where I worked. It’s true-everything changes. 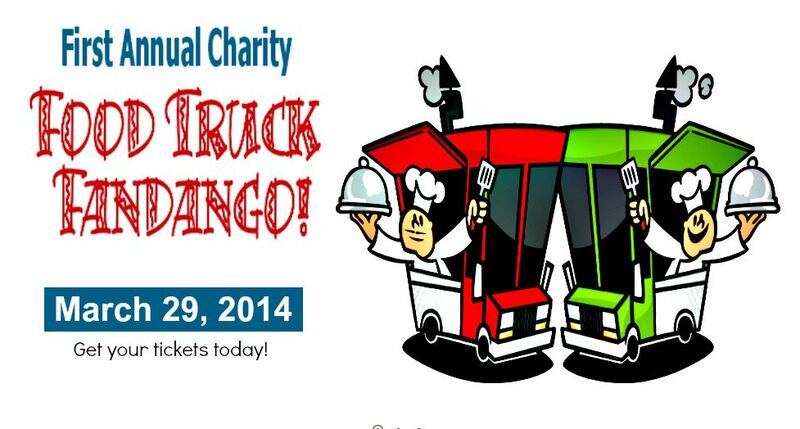 The Heights Rotary Club is sponsoring a Food Truck Fandango next Saturday, March 29th from 11 am to 3 pm. It will be at the Northside Knights of Columbus Hall at 607 E. Whitney St.
Nine food trucks, music by the Zydeco Dogs, a silent auction and a raffle will be featured. Some of the buses include: Pink’s Pizza, the Waffle Bus, What’s Up Cupcake, Barebowls Kitchen and many more. Here is a list of others. Purchase tickets online from the Rotary Club. The $18 adult ticket includes entry into event, $5 worth of beer or wine, and live music by the Zydeco Dots. Food available for purchase from 10 food trucks. Every other dollar goes to Rotary charities. Kids 4-10 are only $4.00.